Known for their long, thick and rather luscious hair, the Shih Tzu breed can be challenging to groom at home. But, for those pet owners who are up to the task, you can start with understanding why you need specific clippers for your fur baby. The key to good clippers for any Shih Tzu is a balance between durability and power. Unlike hypoallergenic breeds that need durability, overpower and also unlike breeds with thick undercoats that need remarkable power, you need to be right in the middle. The key to power and the heart of every set of clippers, the motor. Choosing the right motor might seem hard because of the jargon. But, it really comes down to power and the reputation of the brand. Although many pet owners have seen time and time again that brands aren’t everything, dog clippers are tried and true. Wahl, for example, is a well-known name throughout the entire hair care professional and there’s no exception for animal hair! What you want from a motor is the power that will keep the blades moving quickly, but without tugging. For Shih Tzu’s it is difficult to find the balance sometimes because you need a very powerful motor to get through their thick hair. But, too much power and you’ll pull on their coat and skin. Rest assured, that when looking for the best dog clippers for Shih Tzu’s that you don’t need the most powerful clippers on the market. Durability lies with the blades. You want blades that can hold their edge are strong and are comfortable to change or clean. You’re asking a lot from one blade so you’re best starting off with a grooming kit that should come with a great blade and a number of guides or replacement blades as well as blade cleaner. When you’re cleaning or oiling your blades, the setup should be so simple that you can clean your blades in five minutes or less. You can find a durable blade that’s easy to oil and change. The two primary options you have between blades is ceramic or steel. If you’re new to grooming, you should opt for ceramic or a cooling steel blade because the blade itself will stay cooler for a longer stretch of time. Steel blades are more durable and have a cleaner cut but heat up easily. A hot blade means that you’ll need to take more breaks and the grooming session will be much longer. Although you might have your preferences on your dog’s appearance, they have a few things to say as well. Shih Tzu’s, although well-tempered are notorious for being both impatient, and stubborn. These two traits can create a grooming disaster. Keep an eye out for pup’s that are skittish when the clippers come out and know that it might mean needing a cordless or lighter weight set of clippers. If your dog can’t sit still for long or won’t wait for you to trim their long hair cleanly, you will need to work fast. For the sake of your wrist get a set of lightweight clippers. But, if your fur baby has been through the grooming routine on a regular basis for a while now, they will sit still for longer and not mind that you’re taking your time. If your Shih Tzu is well-behaved at the groomers, you can opt for a corded and heavier weight set of clippers. Typically, the corded options or the heavier weighted options are more durable and will last for years. A cordless, lightweight option that is rechargeable and very low noise is a great option for puppies and anyone new to grooming. Best of all the PetTech Professional Dog Grooming Kit is a complete set that you can use at home but made with professional quality. We love that this kit comes with two scissors, a styling comb, nail clippers, rasp, and four different guide combs. This kit is a great place to start learning how to groom your Shih Tzu. The styling comb and guide combs can help you over time transition from the short groomed, teddy-face cut to the longer and more traditional Shih Tzu style. We don’t like that this blade is steel but marketed towards beginners. If you’ve never groomed your Shih Tzu before you will need to stop frequently. Steel blades heat up very quickly and can burn your pup. Overall, the PetTech Professional Dog Grooming Kit is a great option. It has a moderately powerful motor, doesn’t tug on Shih Tzu coats and has a wide variety of tools. The collection of tools is what really sells this kit though. When you’re new to grooming, especially with Shih Tzu’s it seems like you need everything to achieve a good look. But, this kit will let you slowly work your way up to the more traditional styles while allowing you to get more familiar with the clippers. 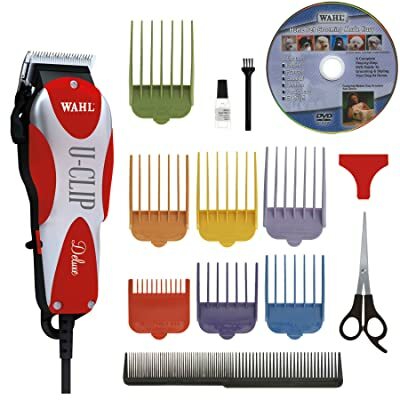 Wahl is a well-established name when it comes to clippers, and honestly, they make the best whether it’s for pets or people. 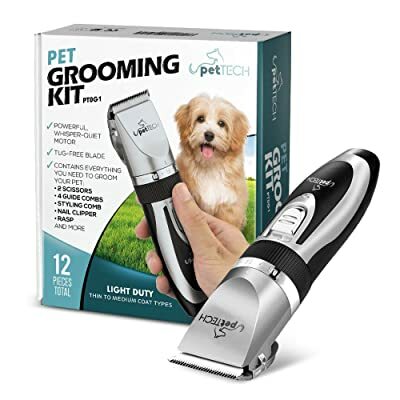 But, with this kit, you’ll get everything you need to start trimming your pup right away even if you haven’t ever used clippers before! Hands down the blade are the best part of this Wahl kit. The blade is stainless steel, which isn’t the best choice for beginners, but it’s made specifically for smooth haired dogs such as Shih Tzu’s or Labradors. It can handle the hair easily, and the powerful motor ensures that you don’t get snagged while you’re trimming. The downside of a kit this big is that it can be overwhelming for beginners. It’s the double-edged sword of taking on any new project, and with grooming, it’s so easy to get lost in the accessories. This kit is full of parts and a DVD that you’ll never use. If you do choose this kit, you don’t need to watch the DVD, in fact, go to YouTube. You’ll need about three attachments, and you might occasionally use the scissors if you work your way into the long hair Shih Tzu styles. But, getting past the stuff you don’t need, this is a great blade and a great clipper set for the price. The Wahl blade alone makes the purchase a great value. The motor is durable, and this is one of the few cordless clipper options that will last you for five or more years. Keep in mind that although this option is cordless, it is not lightweight. A top name in grooming, Beautural makes professional clippers, and this is a professional kit, which might seem intimidating for beginners. But, don’t get discouraged just because it’s a large kit, the blade, motor, lightweight design and easy to use adjusting feature make it worth the purchase. The price is the best thing here, and it’s really great because you’re getting so much more value than what you’re paying for. The brand itself isn’t known for overcharging their customers like other well-known names in grooming will do. It’s a rare occurrence that you get more than what you pay for. The battery charge time isn’t great. Where other clippers have a 15-minute quick charge, this clipper set takes an hour and a half for a quick charge. But once charged, the battery lasts for about two hours of continuous use. Beautural makes a great product here, and the only downside is the long charging time. But when you look at the complete kit, you see wonderful clippers, quality guides, and a great blade. The blade is still stainless steel and is very durable. Additionally, the screw system in place here makes the blade easy to oil and change. Another benefit to the Beaturual product design. The ten different guide combs might be a bit overwhelming because you’ll only end up using three or four of them, but they’re handy to have on hand. A professional option for grooming clippers that comes in five different colors and will definitely last you for years. This kit is more expensive, but only delivers what you need and is well worth the investment! The blade is a pro diamond surgical steel that adjusts to 5 different heights. It has a simple two screw mechanism that makes it easy to clean, adjust and change. The fine blade is perfect for smooth hair like a Shih Tzu but, could pull. The price is the only downfall of this clipper, but if you’re going to groom your Shih Tzu at home, then this clipper will pay itself off in the first year. Because Shih Tzu’s require constant grooming, it’s definitely easy to justify the price of this clipper set. You couldn’t ask for more! It’s a high quality, durable blade with a moderately powerful motor that runs cool is lightweight and cordless. The entire grooming kit is a great option for any Shih Tzu owner and is easy enough to use for beginners to get the hang of grooming too! This powerful clipper set is where most people start and is known widely as the standard beginner’s clipper. In fact, if you’ve taken your pup to the groomers, odds are you’ve seen some rendition of this clipper hanging in their grooming area! While there are a lot of things to love about this clipper, there are a few issues to address specifically for Shih Tzu’s as well! The U-Clip grooming kit only comes with the heads that you’ll need for a Shih Tzu and gives you the opportunity to style longer hair as well as giving the shorter cut. But, the best feature is how easy it is to transition from one clip to another. The clips snap on, and unlike other options that we’ve seen here the blade itself doesn’t require frequent cleaning or oiling. The downside is an aspect that many people will find surprising and it’s that the motor is too powerful. We mentioned in our value section that you need a balance between power and durability. The blade is durable, but the power is so high that it can easily pull or tug on hair as it’s trimming. The other issue with a motor that runs at 7,200 stroked per minute is that it will heat up quickly. 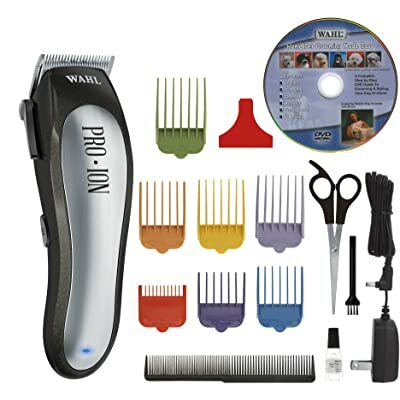 The Wahl Professional Animal Deluxe U-Clip Pet Clipper is great for an experienced at-home groomer. If you know your way around the paw and face areas, you’ll have no problem handling this super-powerful clipper. 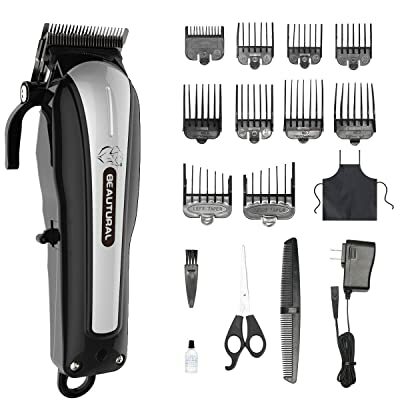 With speed and a practiced hand, this clipper set will easily trim, shape and style your Shih Tzu very quickly! 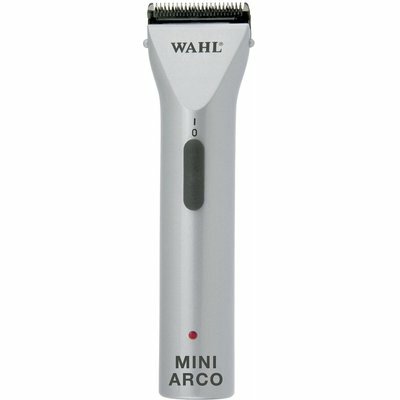 Although it’s the most expensive, the best value without a doubt is the Wahl Professional Animal ARCO grooming set. The cordless, lightweight clipper has the lifespan of a heavy-duty corded set of clippers. Not to mention the blade is durable, and adjustable, while the motor runs at about 5,500 strokes per minute. This means that it should slide through the coat quickly, without tugging. Additionally, the blade is cool running which means that even though it’s stainless steel and not ceramic, you shouldn’t have to stop too often. Overall, this is the best clipper for Shih Tzu set whether you’re a beginner or you have a more experienced hand!